Indo German Wire Screen is the leading manufacturer of Circular Screen which are made from high quality raw materials To meet the diversified requirements of our prestigious clients, we are engaged in offering Circular Screens. Our circular screen is known for its excellent finishing & flawlessness. This circular screen is manufactured by fine quality material and sophisticated techniques as per with the market standards. 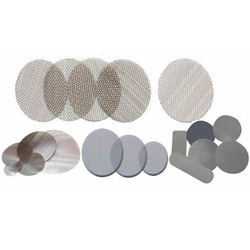 Offered circular screen is checked on numerous parameters of quality in order to supply a flawless range.